Sunnyside, Queens, NY (December 13, 2018) – A massive fire burned through multiple businesses early Thursday morning, December 13, resulting in at least 12 people injured. The fire was reported to have broken out at around 2:14 a.m. inside a store located on Queens Boulevard. 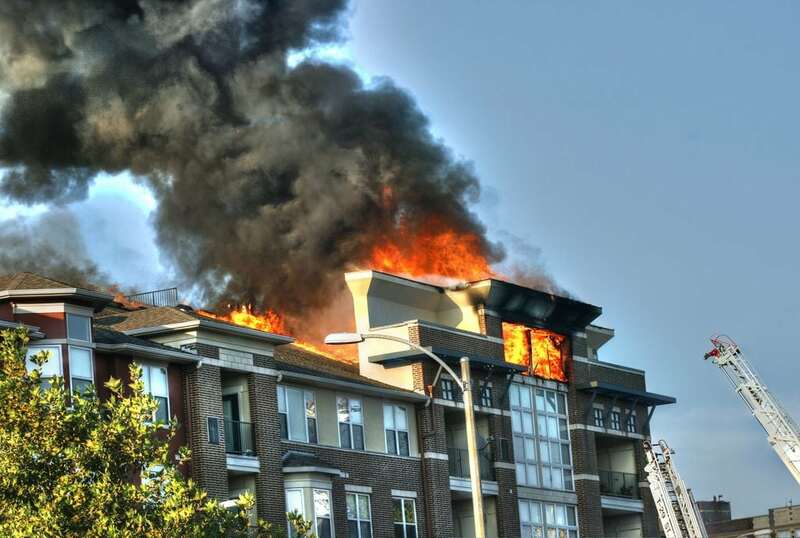 The blaze quickly grew into a five-alarm fire as dozens of firefighters were immediately called to the scene. An intense backdraft tore through one of the buildings and sent firefighters to the roadway for safety, according to authorities. Six families were evacuated from a nearby building as firefighters worked to get the flames under control. Emergency medical responders at the scene verified that at least seven firefighters and five civilians were injured in the incident. The majority of injuries suffered have been stated as relatively minor, however, one civilian was reported to have sustained serious fractures. Queens Boulevard was forced to be closed down between 44th Street and 47th Street for an undisclosed period of time. Investigators are currently working to determine the cause of the fire. We would like to extend our sincere sympathies to all twelve people who were hurt during this fire, first and foremost. Of course, we also wish to offer our deepest appreciation to the New York firefighters who risked their lives extinguishing this blaze. Many fires in New York often prove to be deadly or catastrophically injurious as they are one of the most frightening conditions that anyone can encounter. Following such a terrifying occurrence, it is absolutely essential to know that you may likely have the right to be reimbursed for your injuries. This is particularly true in the event that the fire was caused by another party’s negligence or blatantly criminal behavior. At Hach & Rose, our committed New York accident attorneys are passionate about helping those who have been affected by the actions of a reckless party or other entity. If you have suffered injuries in a New York fire or explosion, please don’t hesitate to call 212-779-0057 and let us put our time and experience to work for you today.